Enjoy a 10% Discount on Everything in Our Store. "The Hummer" Newsletter brings you the latest additions to The Hummingbird Guide website, many useful tips to learn more about them, how to attract them, how to keep them at your feeders, tips and reviews of the latest hummingbird products, discount promotions from our store, festivals, birding tours, and anything interesting relating to hummingbirds that we can find for you. If you like this e-zine, please do a friend and me a big favor and "forward it". If a friend did forward this to you and if you like what you read, please subscribe by visiting... Our Sign-Up Page. Issue #027, April 7, 2018. 1) The 2018 Hummingbird Migration Update. 3) Shop for Everything Hummingbirds....Special E-zine subscribers discount. 4) Our Hummingbird Migration Tracker App. 5) Our Revised Pinterest Page. 6) What Do Hummingbirds Eat. 7) Link on your mobile device. 8) Hummingbird Guide Social Network. We have received sightings up into Virginia this week. The Hummers are definitely on the move. April is the busiest month for the hummingbird migration! Most areas in the U.S. have their friends back by the end of the month. We, up north, usually have to wait until May to see our feathered friends! So far, it seems to be the usual start time for our beloved hummingbirds. Please submit your sightings to our "Month by Month List" of sightings and our "Interactive Migration Map"! 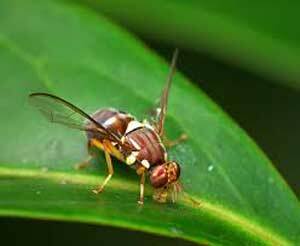 Your sighting will help everyone following the migration. Give Them a Helping Hand When They Arrive! This is a good time to get your "Hummingbird Gear" out! 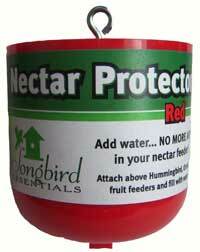 Check your feeders for damage or leaks and maybe replace them. Make sure they are clean and you have all the accessories you need such as an ant moat to keep those pesky ants off your feeders or a "Hummer Helper Helmet" to shade your feeders in the hot sun. Submit your personal review here. Here's our page that answers this and more. 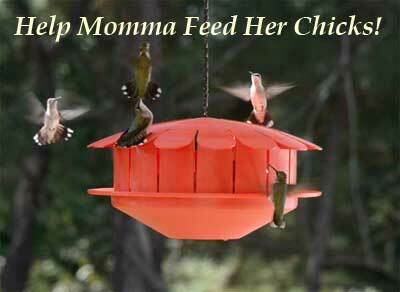 Help Momma Feed Her Chicks! 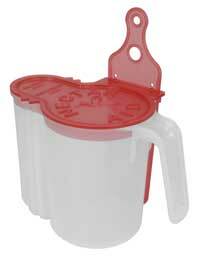 The New "HUMM-BUG" Hummingbird Protein Feeder. The newest and most unigue hummingbird feeder to come along in a while with a twist! Supplies the necessary protein for Hummingbird Survival! It will attract more hummingbirds and just maybe Momma will nest nearby! I personally can't wait to give it a try! 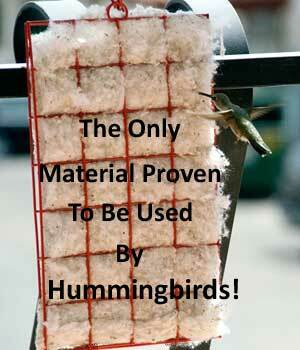 I will be posting a review page of the "HUMM-BUG" feeder this Summer; with photos and videos of it in action! See all of the features, details and instructions about this new and exciting feeder. 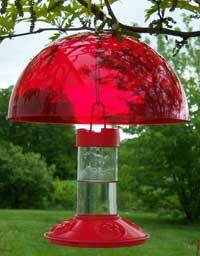 The New and Exciting "Humm-Bug" Hummmingbird Protein Feeder! The Highest Level of Security! We have worked hard over the Winter to bring our website up to the highest level of security. You will notice "https" in our URL (web address) in your address bar of your browser and the "Padlock" icon indicating that our website meets the standards for the highest level of security. You can shop with confidence that our store is secure and any page that you visit on our site is secure! Please visit Our Store. There is a large selection of decorative, unique, basic hummingbird feeders along with many accessories such as the ant moats and brushes. Also, we have many beautiful "Woodstock" wind chimes available, Gifts and Birdbaths. 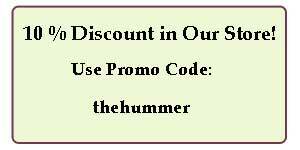 Use promo code: "thehummer" for a Special 10% Discount to our newsletter subscribers which you can use on your whole order in our store. The 2018 Spring Hummingbird Migration has Started! You can now follow the Migration and Submit your Sightings right from your Smartphone using our new Hummingbird Tracker App. Vist the Food Page to Learn More! 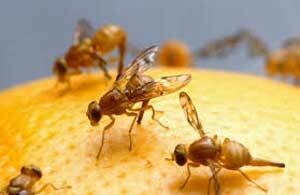 Fruit Flies are Their Favorite! See Our Revised Pinterest Page! Follow us on Pinterest and Pin Your Favorites to Your Pinterest Board. Our Website is "Mobile Friendly"! Add our website to the "Homescreen" of your Smartphone to have quick and easy access to follow the Hummingbird Migration as we update your sightings. If you haven't already, you just might like to become a fan! It's "A-buzz" with activity and has been growing by leaps and bounds! We now have over 8600 fans. We have many new visitor photos, videos and conversations. We would love to see your photos and videos, come join the fun! View some videos on our YouTube channel. Do you like to TWEET! Do you have a hummingbird related product, destination, tours, classes, business or anything related to hummingbirds......... contact us about advertising in our Newsletters. Suggestions? Ideas?.......... 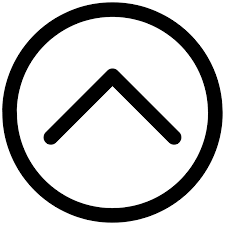 We would love to hear your thoughts about our future e-zines. Please Contact Us with your input. Sweetness and Joy is on the way! 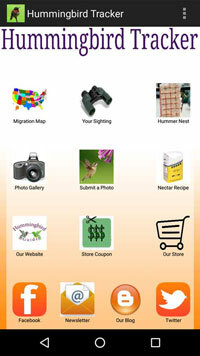 The Hummingbird Guide "Home Page"